School officials and law enforcement are sounding alarms about phone apps that are popular with teens—and sexual predators. Police say a 15-year-old Brooklyn girl is now safe after she was abducted by a man she met on an app called Kik. The service allows users to send messages, pictures and video without a phone number. Users can be as young as 13, and for predators, making a fake profile is easy. “All they need to do is jump on all these kinds of apps and they may be grooming 100 children at the same time,” Akron Board of Education General Counsel Rhonda Porter said. Porter compiled a list of the most “dangerous” apps that parents need to know about. 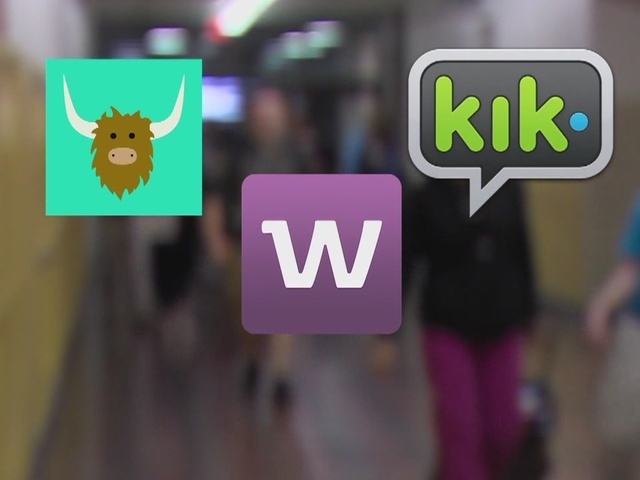 Apps like Kik, Whisper and Yik Yak can allow users to remain anonymous. Kik says it has 240 million users, 40 percent of which are U.S. teens. Porter recommended parents regularly search their children’s cell phones. Check what kinds of parental controls are available with your cell phone service provider. Some carriers allow parents to turn off the data at certain times and have ways of requiring permission before apps are downloaded. She also recommended turning off the home wifi late at night.